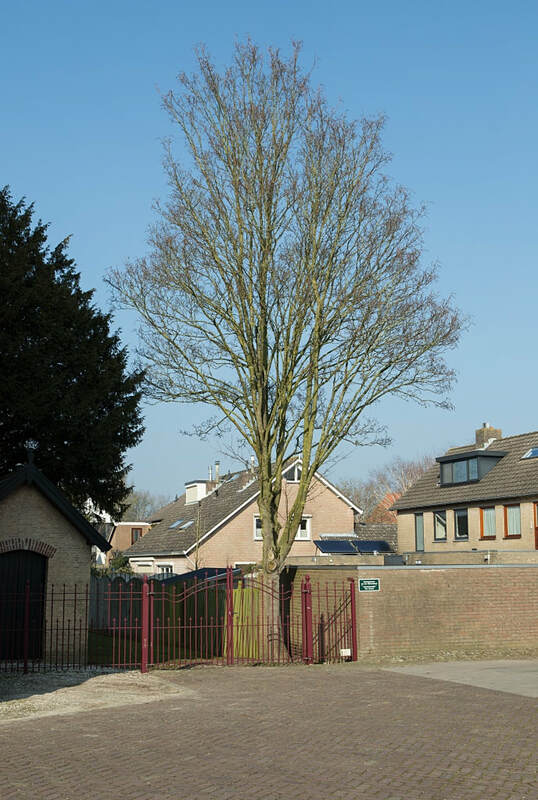 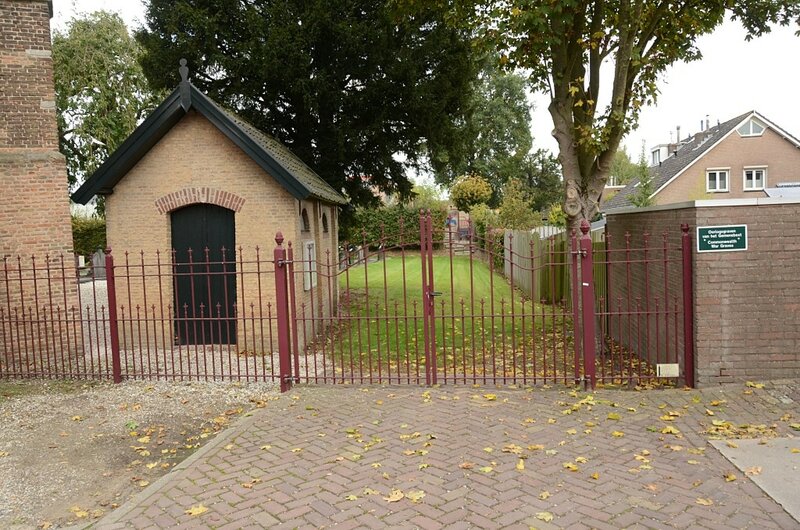 Waspik is a village 24 kilometres west of 'S-Hertogenbosch and 4.8 kilometres east of Raamsdonksveer, on the main road between the two towns. 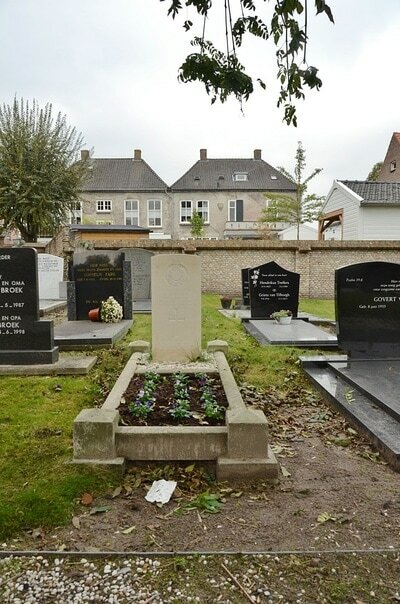 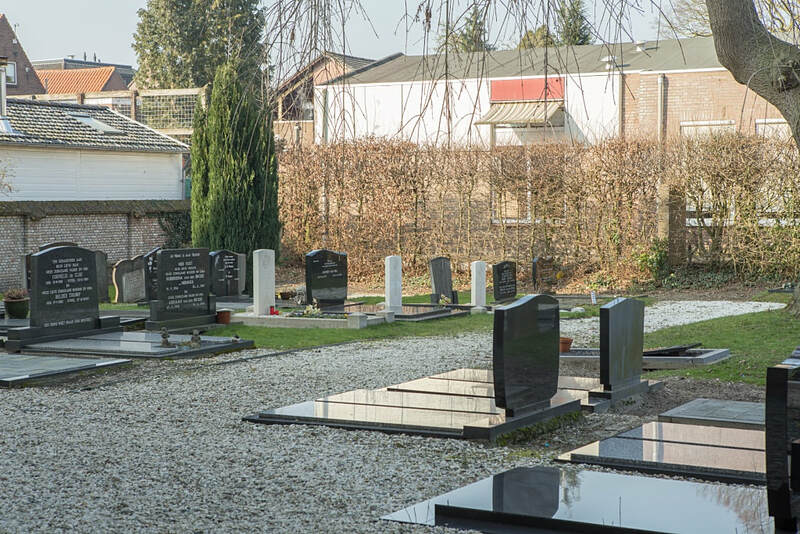 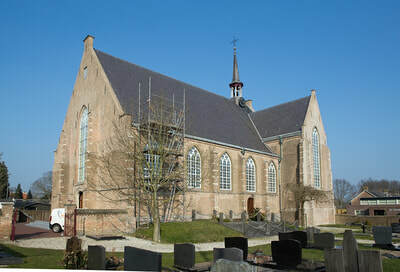 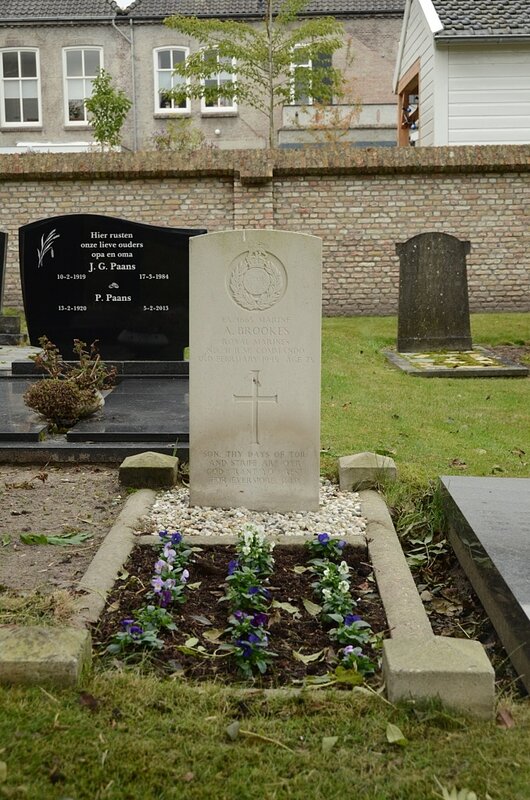 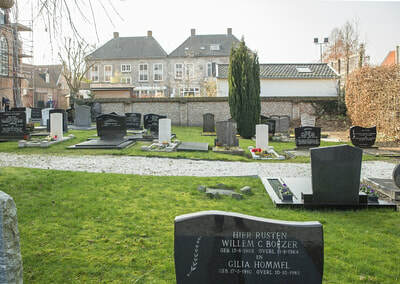 The Protestant churchyard is in the centre of Waspik and contains 3 Commonwealth burials of the Second World War. 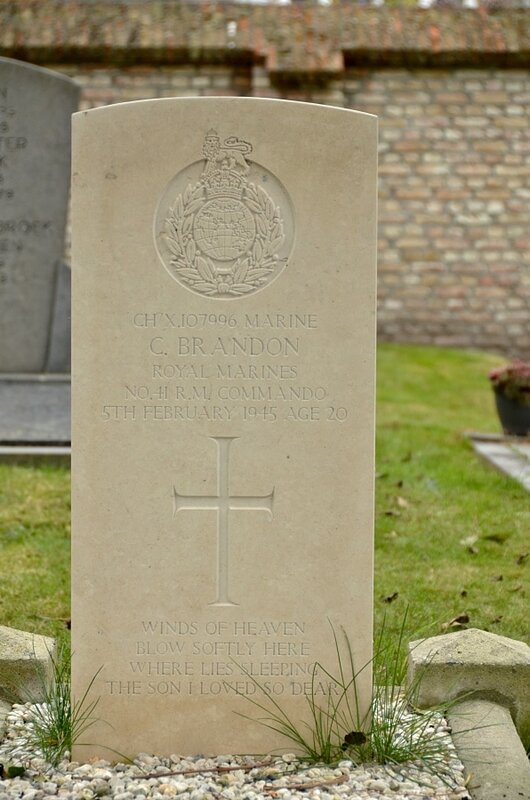 CH/X 107996 Marine Charles Brandon, No. 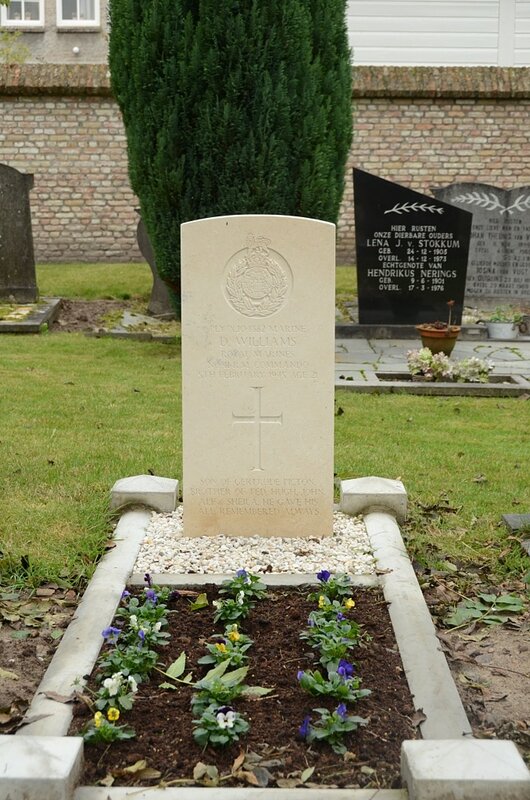 41 Royal Marine Commando, Royal Marines, died 5th February 1945, aged 20. Son of Mr. and Mrs. C. Brandon, of Milwall, London. EX/4665 Marine Arthur Brookes, No. 41 Royal Marine Commando, Royal Marines, died 3rd February 1945, aged 25. 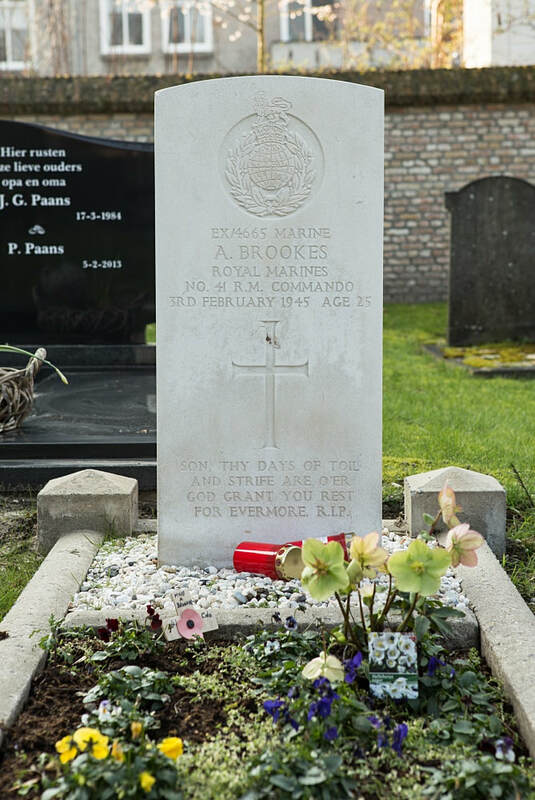 Son of Arthur and Edith Maud Brookes, of Hockley, Birmingham. PLY/X 104882 Marine David Williams, No. 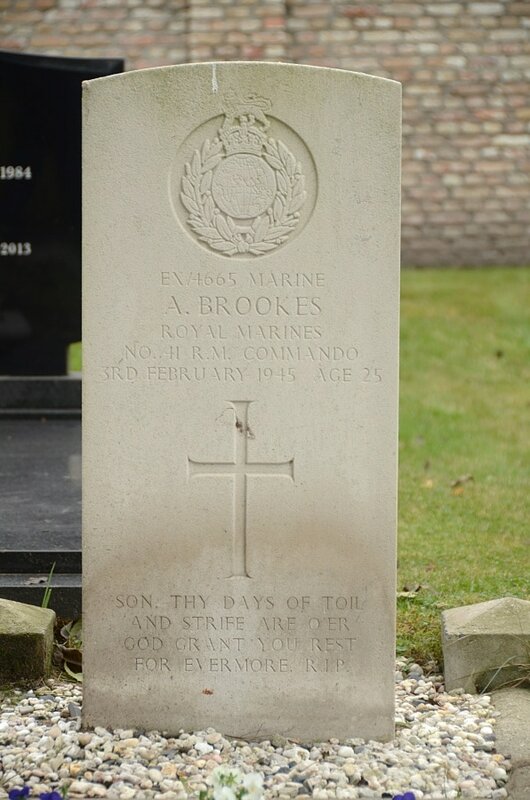 41 Royal Marine Commando, Royal Marines, died 5th February 1945, aged 21. 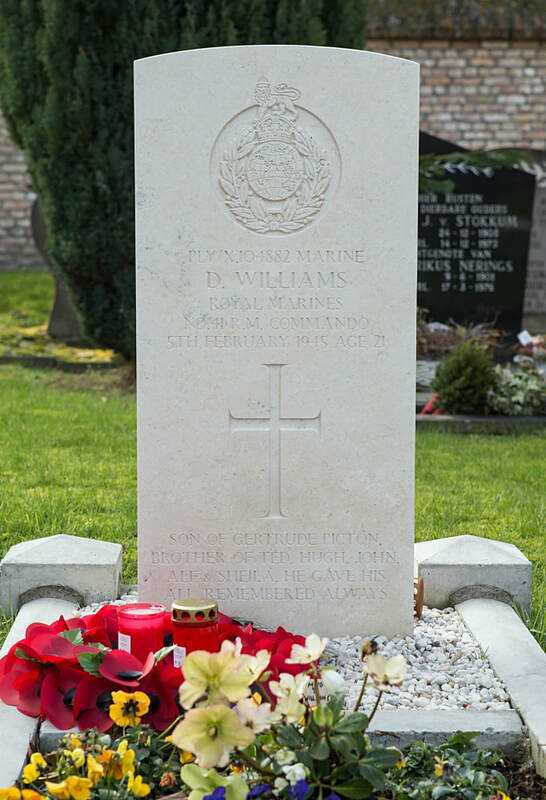 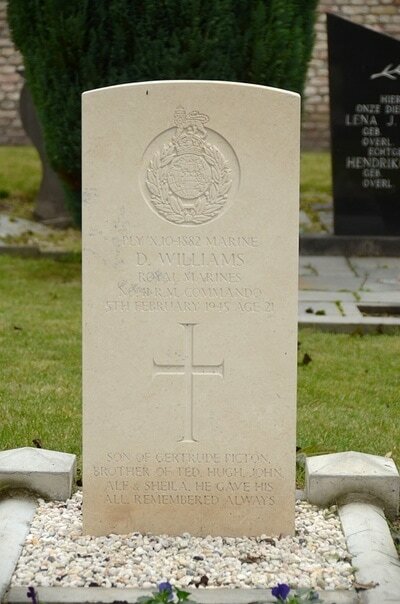 Son of Griffith and Emily Williams, of Old Colwyn, Denbighshire. 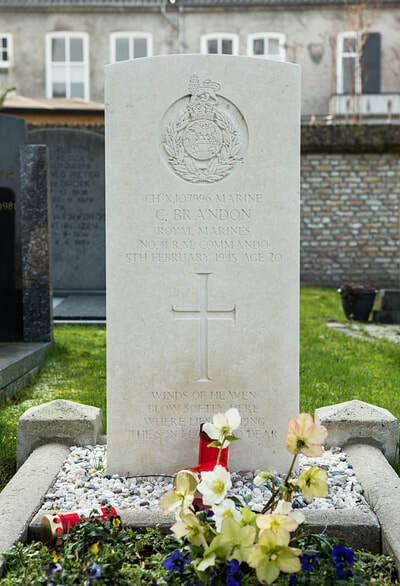 (N.B.Please note that this casualty was previously commemorated on the Plymouth Naval Memorial; his name will be removed when the appropriate panel is next replaced).